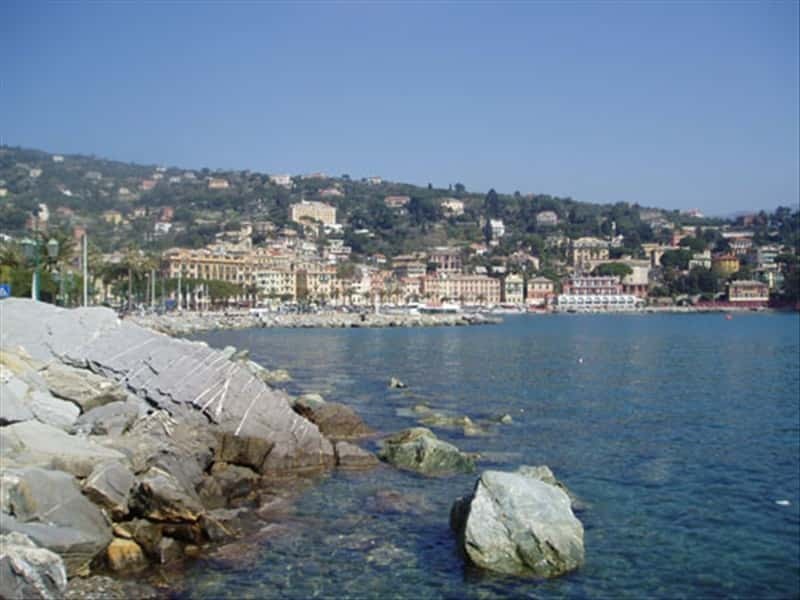 Located in the province of Genoa on the Ligurian Riviera di Levante, Santa Margherita Ligure is one of the most exclusive seaside resorts throughout Liguria, close to other centers of great fame such as Portofino and Rapallo. The town is situated between the promontory of Portofino and the Gulf of Tigullio, immersed in the greenery of a beautiful cove surrounded by woods of chestnut trees and olive groves. It is, in part, included in the Regional Natural Park of Portofino. Santa Margherita Ligure has antique origins. It was already inhabited with a small settlement since the Roman times . In 641 the village, called Piscina, was devastated by the Rotari troups. Up until the X century, under the supervision of the monks of St. Columba, the town suffered numerous raids by pirates. Until the first half of 1200 the town was part of a fief of the Fieschi family, then it became part of the Podesta in Rapallo, being later subjected to the Republic of Genoa. Like other Ligurian centers the town suffered continuous attacks and looting: in 1432 by the fleet of the Republic of Venice and in the middle of the next century by the pirates. At the end of 1700 the territory was divided into two cantons: Santa Margherita and San Giacomo, that religiously and politically distinct, gave way to a series of long-running conflicts between the two villages. Under the French rule in 1812, the two annexed districts became a single town that was named Port Napoleon. 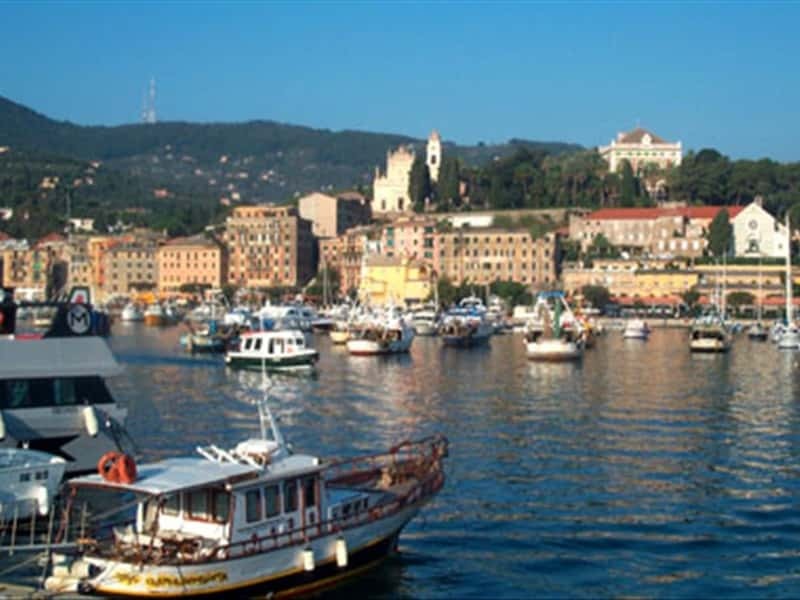 After the fall of Napoleon Bonaparte, the lands were annexed to the Kingdom of Sardinia which, in 1818, established the town's name, calling it Santa Margherita di Rapallo. The Abbey Cervara, which is a complex formed by the church, the monastery and a large garden. The Castle, built in 1550 by Antonio de Carabo. The Churches of St. James of Corte and Nozarego under the jurisdiction of the Abbey of San Fruttuoso of Camogli. The Church of San Siro that preserves inside a wooden statue depicting the Virgin Mary attributed to the artist Maragliano and a canvas depicting Saints Sebastian and Rocco by the painter Lorenzo Valerio Castello. The Capuchin church built in 1608 along with the adjacent convent. It houses a marble sculpture depicting the Virgin Mary dating from the second half of the XII century and a wooden crucifix of the XV century. The Oratory of Our Lady of Suffrage, built in 1523. Inside it preserves an organ considered the oldest of Liguria, which dates back to 1686, a painting depicting Christ in chains and numerous works by Domenico Piola. The Oratory of Saint Bernard and Lucy (1600) built at the foot of the Belvedere hill. The Castle of the XVI century with its adjacent park of the XVII century, are part of a larger complex which also consists of two houses: St. James and Durazzo-Centurione. The elegant Italian garden opens onto the city and the bay with a balcony adorned with statues of the XVII and XVIII centuries. The Shrine of Our Lady of the Rose, built in 1658 on the ruins of a church dating from the XIII century. The bell tower and façade date back to 1750. The Oratory of Our Lady of Our built in Baroque style in the XIV century. This town web page has been visited 29,670 times.